In 2017, Dr. Pancholi was appointed by the Governor of Nevada to serve a second consecutive four-year term on the Nevada State Board of Osteopathic Medicine. Members of this state licensing board work to uphold the highest standards for safety and ethical practice among osteopathic physicians in Nevada. Dr. Pancholi is the past President of the American Board of Cosmetic Surgery (ABCS), having begun his term in 2014 and ended in 2016. The ABCS is a national certifying board working to ensure that cosmetic surgery patients have access to qualified surgeons who demonstrate highest professional standards of training, knowledge, and expertise in the specialty of cosmetic surgery. Dr. Pancholi served as Vice President of the ABCS in 2013. In 2016, Dr. Pancholi was elected to serve as a trustee to the International Division of the American Board of Cosmetic Surgery (ID of ABCS). This division of the ABCS challenges and certifies qualified cosmetic surgeons outside of the United States and is committed to providing international patients with access to a properly trained, safe option. In 2016, Dr. Pancholi was inducted into the Hall of Fame for the World Academy of Cosmetic Surgery. Dr. Pancholi has been recognized for his outstanding contribution to cosmetic surgery as determined by the World Academy of Cosmetic Surgery Board, and he is honored to be named among such a prestigious group of cosmetic surgeons. He has also been invited to serve as faculty and chairman for the 2018 World Academy of Cosmetic Surgery Annual Meeting in Vienna, Austria. In 2015, Dr. Pancholi created and executed the annual Launching Las Vegas award, a community-driven award to celebrate the hard work, effort, and commitment local startup companies and entrepreneurs devote to helping Vegas shine. In 2013, Dr. Pancholi was inducted as a Fellow of the Federation of State Medical Boards (FSMB). The FSMB advocates on behalf of the United States’ 70 state medical and osteopathic boards, promoting the highest standards in public health, safety, and patient access to quality medical care. Dr. Pancholi was inducted in 2013 as a Fellow of the American Association of Osteopathic Examiners (AAOE), the national authority comprised of osteopathic medical board members in each state. The AAOE keeps state boards abreast of industry and policy changes that affect the practice osteopathic medicine. 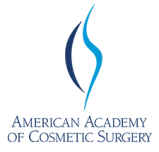 In 2012, Dr. Pancholi was selected as a Chairman to the Annual Scientific Meeting of the American Academy of Cosmetic Surgery. The meeting draws approximately 500-700 Cosmetic Surgeons throughout the world. During this time, he assessed the quality of the cosmetic surgery presentations and surgeons that provide the most cutting edge information during this 5 day meeting of the world’s foremost experts in cosmetic surgery. 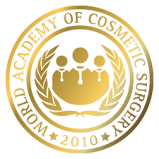 In 2011, Dr. Pancholi contributions to the field of cosmetic surgical were acknowledged with the award of Distinguished Lecturer by the American Academy of Cosmetic Surgery. 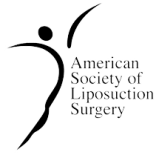 In 2011, Dr. Pancholi was selected as a Chairman to the American Society of Liposuction Surgery’s Annual Meeting. During this time, apart from his lectures, Dr. Pancholi participated in bringing Liposuction experts from around the world to this forum. In 2010, Dr. Pancholi was selected as a Trustee to the American Board of Cosmetic Surgery. This distinguished honor led Dr. Pancholi to participate at the highest level in shaping the demands, qualifications, and knowledge of future surgeons seeking to challenge the 2 day rigorous certification examination. 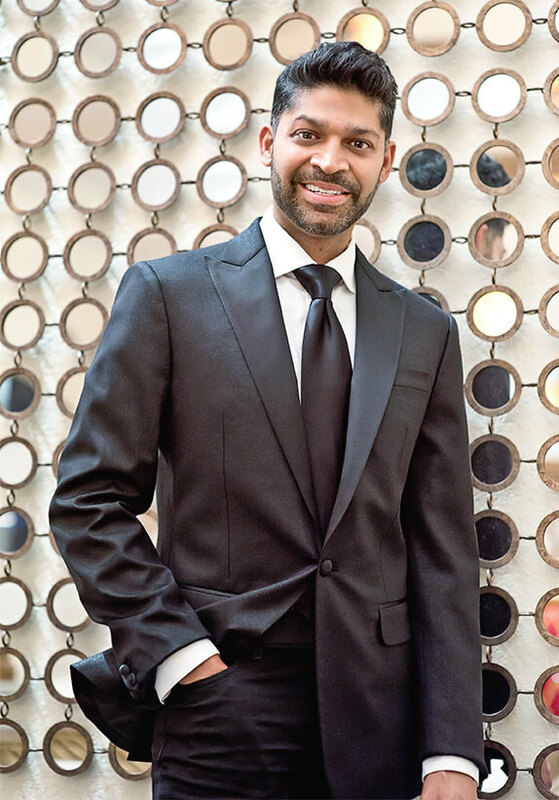 In 2010, Dr. Pancholi was selected for In Business Las Vegas’ “Top 40 Under 40” Award recognizing his achievements in Las Vegas along with his charitable contributions to the Las Vegas community. In 2009, Dr. Pancholi was selected to serve as an examiner in the administration of the Cosmetic Surgery Board examination. In addition to this honor, he was also selected to review the examination for innovations and changes to meet current day concepts and standards. Dr. Pancholi was chosen in 2009 by his peers within the American Academy of Cosmetic Surgery to review articles for publication in the American Journal of Cosmetic Surgery (AJCS). This quarterly journal features distinguished cosmetic surgery experts addressing numerous state-of-the-art cosmetic surgery procedures, topics and breakthroughs. The AJCS is the official publication of the American Academy of Cosmetic Surgery, the American Society of Lipo-Suction Surgery, the American Society of Hair Restoration Surgery, the American Society of Cosmetic Breast Surgery, the International Academy of Aesthetic Surgery & Aesthetic Medicine, the Japanese Society of Hair Restoration Surgery, the Chinese Academy of Cosmetic Surgery and Medicine, the Italian Society of Hair Restoration Surgery, the Australian Associate of Cosmetic Surgery and the Meso-American Academy of Cosmetic Surgery. In 2007, Dr. Pancholi was requested to serve as an expert panelist on breast augmentation and to speak on Innovations in Breast Implants at THE Aesthetic Meeting in Las Vegas, NV. This is one of the largest multi-specialty cosmetic dedicated meetings in the country. In 2007, Dr. Pancholi was honored by the American Academy of Cosmetic Surgery with the coveted Richard C. Webster, MD award for Best Scientific Paper regarding his research in preventing blood clots during liposuction and tummy tuck surgery. He was selected to present his research in front of the American Academy of Cosmetic Surgery’s Annual Scientific Meeting and also at the 2007 World Congress of Liposuction in Dubai, U.A.E. As he has become more well-known as an authority on cosmetic surgery techniques, patient safety, and consumer advocacy, Dr. Pancholi has contributed to numerous news pieces about cosmetic surgery in Las Vegas and throughout the nation.